Colgate’s tightly knit community often fosters close friendships, but some students arrive already lifelong friends. 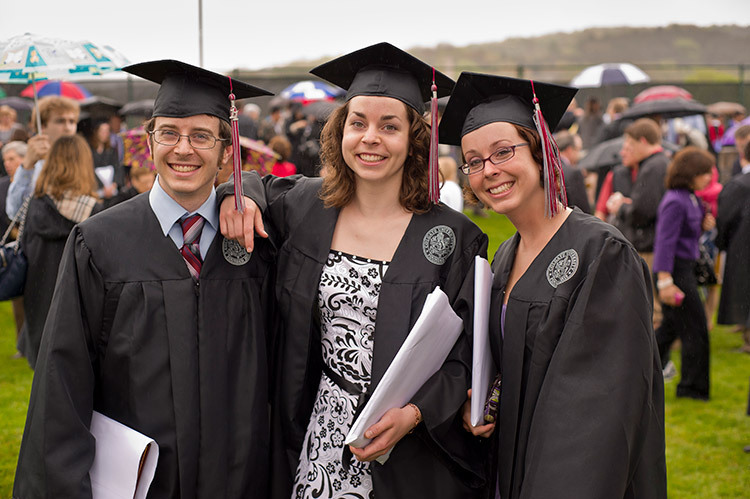 This was the case when triplets Paige, Mellissa, and Adam Cross all joined the class of 2011. 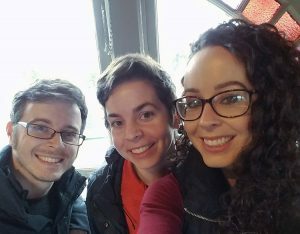 They went from graduating first, second, and third in their high school class, to leaving university with a Spanish and educational studies, geology, and psychology degree, respectively. Despite being unsure of what to do post-graduation, Paige ended up separating from her siblings in a transcontinental way after applying to become a U.S. Fulbright English Teaching Assistant in Ecuador. Having taken a volcanology course with Karen Harpp, professor of geology and peace and conflict studies, that included a spring break extended study trip to Ecuador, she knew that’s where she wanted to teach. The choice ended up being the right one: after spending one year teaching English at the Universidad Técnica de Ambato, Paige was hired by the university and stayed for an additional two years. While Paige loved teaching her own classes for the university, she returned to the states to pursue her master’s degree. “I think education is really important, and I didn’t see myself advancing further down there with just my bachelors degree,” she said. Currently, Paige is a second year master’s student in public administration at Binghamton University and works part-time in Immigrant Services for Catholic Charities. She has always been interested in nonprofits, having spent three summers working at Colgate’s Upstate Institute, working with various community partners. Adam also got involved in teaching after graduating, spending a year working for the City Year AmeriCorps program. He tutored students at an underperforming school, leading before and after school programs to get them excited about education. Afterwards, Adam earned his computer networking associates degree from Broome Community College and began working for SystemsNet in Pennsylvania. Businesses that don’t have the resources to hire their own internal IT company outsource to SystemsNet. He is now a Senior Systems Administrator but hopes to move into cyber security. Mellissa similarly pursued higher education after leaving Colgate and received her PhD in paleoclimate at the University of Minnesota–Twin Cities. In graduate school, she studied stalagmite samples from a nearby cave to measure historic temperature and moisture levels in relation to global climate change. Mellissa and her then-fiancé, Joshua Warner, were both working on their PhDs at the same time and graduated together in May 2016. “We got married at the end of that month so that was a busy month,” she said. Warner was matched to a one-year surgery residency at the Mayo Clinic in Minnesota, so Mellissa took a job working in their radiology and chromatics lab. In graduate school, she developed a software package to work with a modeling program that launches hypothetical parcels of air through the atmosphere and measures the paths those parcels take. “Those programming skills landed me the job at the Mayo Clinic, because there really weren’t geology opportunities in the Rochester area,” she said. Now living and writing in Tuscan, Ariz., Mellissa is waiting for a paper to come out in the Journal of Computing Science and Engineering and runs an Etsy shop that utilizes those same programing skills to create custom art out of weather and climate data. While the siblings all commented on the difficulties of pursuing varied careers in different states, they stay in constant communication.